Perhaps so far you have lived with the idea that the secret of slimming consists invariably in the drastic reduction of calories and the elimination of most food from the diet. While this is also an unattractive approach, there are other ways to lose weight. The key is low calorie or zero calorie foods that make lazy metabolism work, give you the feeling of satiety and at the same time help you burn fat. Even if it sounds too good to be true, we guarantee that it is really a good method to lose weight. 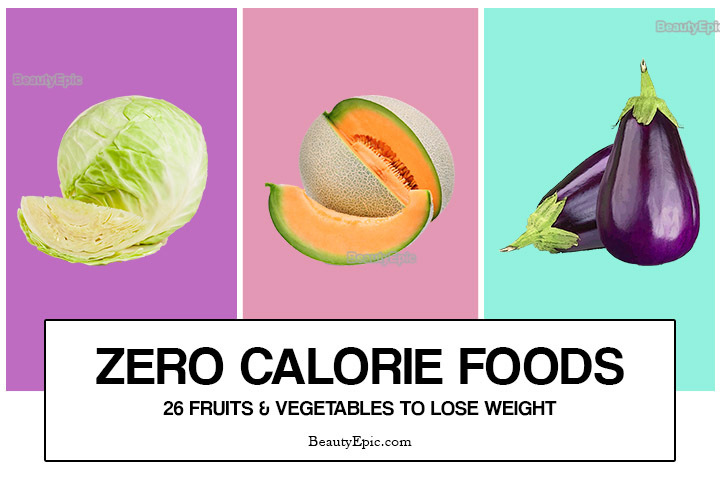 Also see the list of 26 zero-calorie foods and find out why they will help you lose extra pounds! You’ve probably heard of “zero calories.” Many fruits and vegetables have this property and are always recommended in diets. Of course, do not imagine that you can eat these foods without limits and lose weight. They just help in the weight loss process and you do not have to fall into any extreme. It is enough to add some of them in the daily menu and to vary them, because it is known that a varied diet is the healthiest. Also, keep in mind that this miraculous property is no longer valid if you fry them or add them to all kinds of calorie preparations. They should consume as raw as possible or steamed in some cases. In the case of spinach, it is even recommended that it cook for a few minutes before it consumes, because it contains a substance that inhibits the assimilation of minerals in the body. The pumpkin has a high content of vitamin A and vitamin C, essential for improving vision and strengthening the immune system, which will help you to prevent cold and flu. Pumpkin is also an important source of vitamin E, with a significant role in maintaining the beauty and skin elasticity. 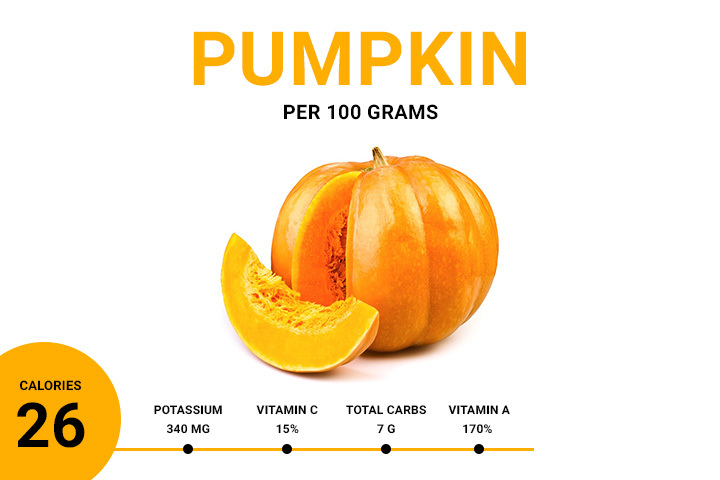 The pumpkin is also rich in potassium, magnesium and iron, minerals that are extremely important for bone health, but also for the proper functioning of the heart, kidneys and the nervous system. In addition, the pumpkin is low in fat and cholesterol, which makes the pumpkin diet to be ideal for losing extra pounds. But not only the pumpkin core should eat, but the seeds as well, because they contain lecithin and zinc and are great as snacks between meals. The pumpkin diet is an ideal way to get rid of extra pounds without endangering your health. Due to the high content of vitamins, fiber and iron, the pumpkin is an excellent food for the body’s health, because it speeds up the intestinal transit and accelerates the metabolism, while the small number of calories makes it ideal for weight loss. Broccoli is recognized as one of the healthiest foods in the world and is part of the cruciferous vegetable category, which is said to fight cancer. In addition, this vegetable is full of fiber and phytonutrients, keeping the digestive system healthy, another secret of weight loss. Broccoli also contains vegetable proteins, which are helpful if you have an active lifestyle and want to “build” the muscle mass. Use broccoli as a lining and you only have to benefit! 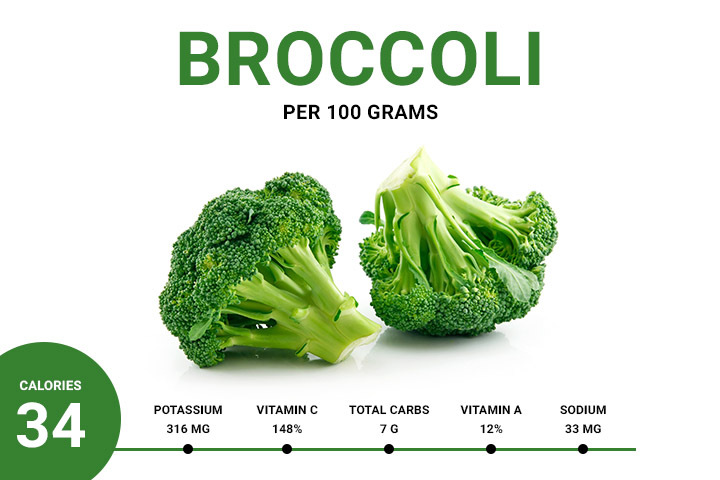 Broccoli contains the same amount of vitamin C as lemon, while having a high content of B complex vitamins, beta carotene or provitamin A (a known antioxidant), and many minerals plus folic acid. In addition, broccoli also contains lutein, a powerful antioxidant associated with eye health, which is also found in spinach. Broccoli protects the immune system, prevents anemia and effectively fight liver disease. Studies show that broccoli helps to lower cholesterol, because it contains the fibers thus stimulate the production of the bile, which leads to a decrease in the total fat level in the body. First of all, apples keep you from cardiovascular disease because they lower blood cholesterol levels. Do you know the phrase “One apple a day keeps you away from a doctor”? Well, it is true, because apples are among the healthiest fruits in the world, because it lowers your cholesterol levels by up to ten percent. Apples also have an important role in the health of your digestive system. Because they are a rich source of fiber, they provide a normal intestinal transit and, because they protect the colon’s mucous membranes from negative factors, keep you away from colon cancer. 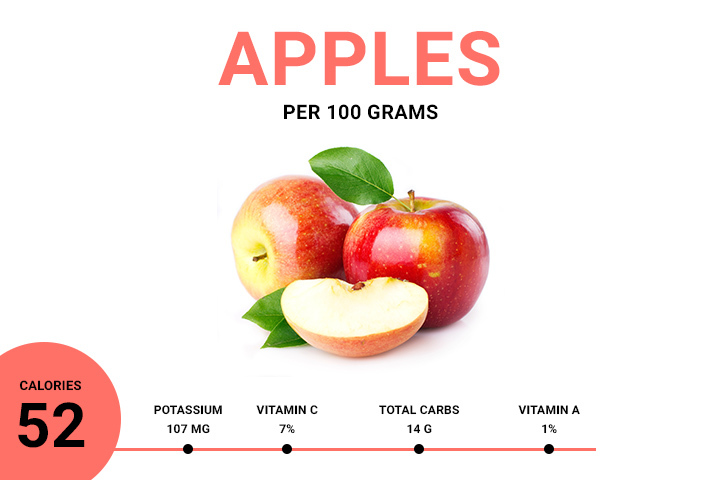 Apples are full of vitamins, minerals and fiber, with very few calories. They have a laxative effect, but without disturbing the digestive system in any way. Apple fibers stick to the fat molecules, which prevents it from being deposited in the body. They are also beneficial to the nervous system, which is why they are included in most diets. Apricots, these small fruits are related to prunes. With dimensions of 1.5-2.5 cm and orange color, they have a surface covered with a velvety layer, made of small and soft pearls. Considering that this description is definitely familiar to you, we will move on to less known things. First of all, we will tell you that an apricot contains only 17 calories, so you can eat yourself an entire bowl without having to worry about the extra pounds you could accumulate. 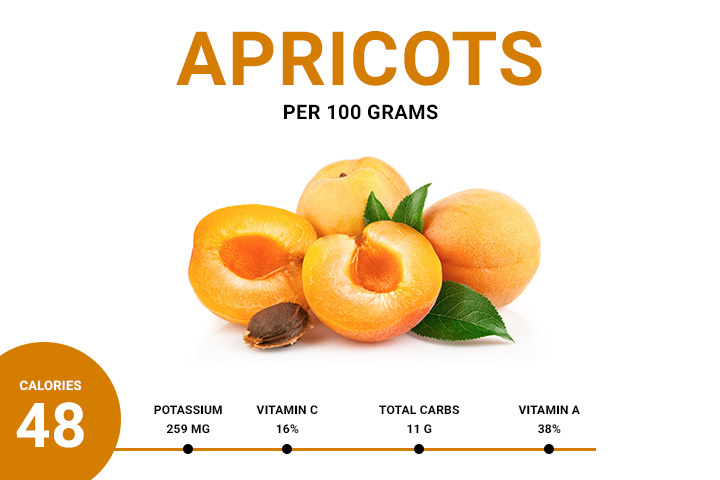 Apricots contain plenty of vitamins such as A, B1, B2, B3, B5, B6, C, E, K, but also minerals and trace elements such as calcium, magnesium, iron, phosphorus, potassium, sodium, manganese and zinc. Apricots are recommended for everyone, including pregnant women and children. Apricots are also recommended for women who take birth control pills because they provide the daily requirements for pro vitamin A. Many people avoid using asparagus because of their specific smell, not very affectionate, but also because of their taste, which can be quite bitter if it is not prepared properly. But what few people know is that asparagus is a miraculous vegetable but is also rich in minerals and vitamins (K, B1, B2, C and E). This means that this food detoxifies and helps to lower blood pressure in hypertensive individuals, while preventing the formation of blood clots underlying the most serious cardiovascular disease. Asparagus is rich in vitamins A, C and K, but also in folate. It also contains a substantial dose of insulin, a substance that helps the digestive system. Asparagus is very rich in fiber and protein, It seems to be an amino acid that it contains, which helps the body to eliminate accumulated toxins. 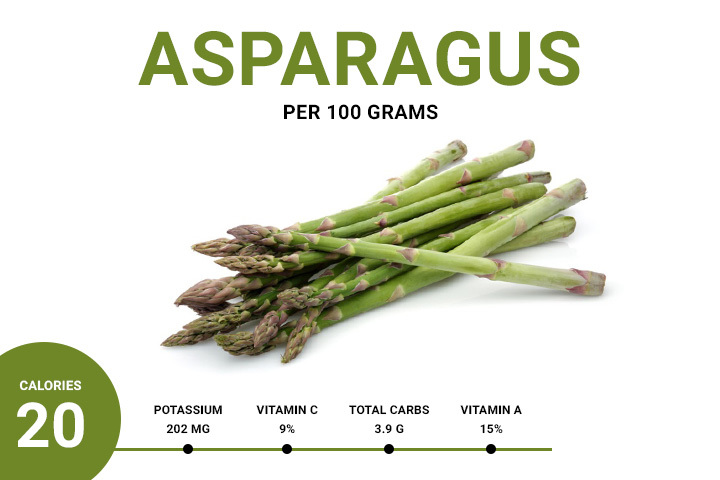 See the benefits, nutritional information and therapeutic properties of asparagus. Recommended for the health of the intestinal flora. Vitamins: retinol, ascorbic acid, tocopherol and niacin. Minerals: iron, potassium and phosphorus. It improves stomach and intestinal disorders. It is indicated for people who suffer from constipation or have kidney stones. 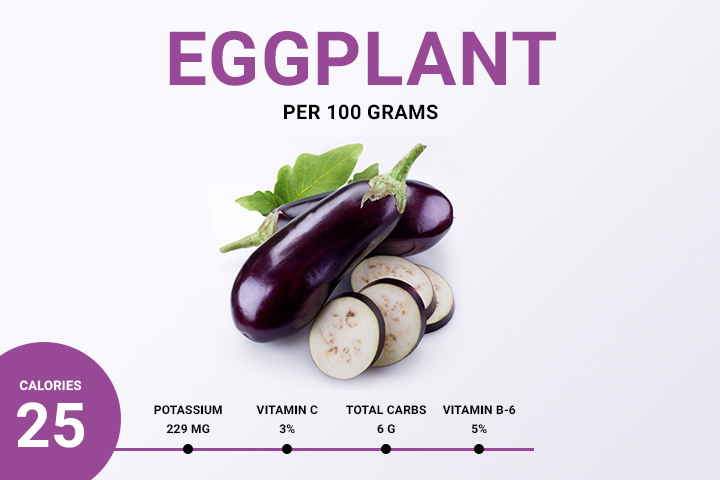 Eggplants are some of the most important sources of vitamins in the complex of B and minerals such as potassium, iron and manganese. The blue / purple bark contains important amounts of antioxidants, pigments with antioxidant action. These autumn vegetables, privileged in the Mediterranean diet, have anti-anemic, laxative and diuretic properties. In addition, due to specific fibers, eggplants lower blood cholesterol. It is also recommended to be part of the diet of people suffering from constipation, gout, hypertension and hepatitis. And if you wanted to lose weight, then this vegetable will become your ally, because it is satiated and reduces your appetite over the course of a day. It’s real food for the brain. An important source of antioxidants. Benefits for the cardiovascular system. It protects against free radicals. Vitamins: retinol, ascorbic acid, niacin, tocopherol and pyridoxine. Minerals: potassium, phosphorus and magnesium. Eggplants also have a diuretic and anti-inflammatory effect and are highly indicated for people who suffer from digestive problems or those with diabetes. Good for anemia and constipation relief. 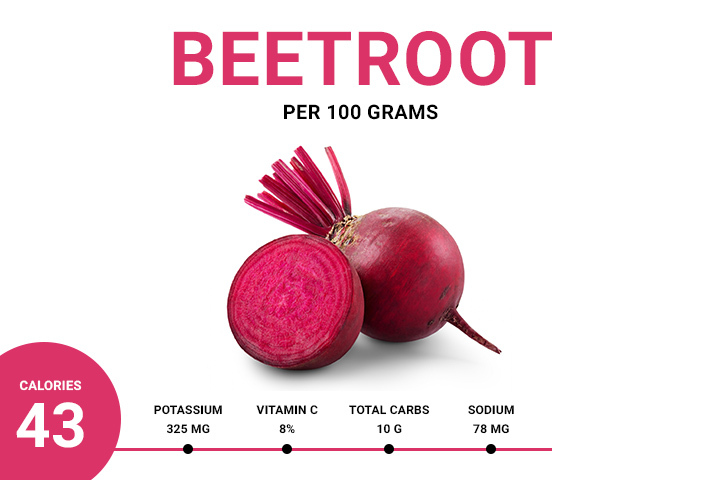 It is certainly not the first time you hear that red beet is a very healthy vegetable, but you probably did not want to analyze its properties in detail. It is time to inform you about this and find out the benefits of red beet and the reasons why it should include in your shopping list from now on! The red beet has an unmistakable taste, whether you like it or not. At the same time, it is full of wonderful substances for the body: potassium, magnesium, iron, vitamins A, B6 and C, folic acid, proteins, antioxidants and soluble fibers. Vitamins A, C, B6, B9, calcium, iron, magnesium, phosphorus and potassium are important to mention in terms of red beet content. All of this keeps the body in good working order, and if you opt for regular consumption, it can help to relieve certain illnesses. If you suffer from hypertension, you need to know that red beet can give you a helping hand. Vitamin C, potassium and magnesium contribute to the normal functioning of the cardiovascular system, by lowering bad cholesterol and by maintaining the elasticity of the blood vessels. The lack of iron in the body can lead to anemia and, as a result, to an increased fatigue state. The red beet contributes successfully to improving the condition of the body, acting as a tonic. In the same way, this wonder-royal helped the athletes or those who make the intense intellectual effort. For those who are preparing to become mothers, it is good to know that folic acid in red beets is a necessary supplement for fetal development. Other benefits that beetroot brings to you are relieving digestive problems because of the fibers contained in the root, as well as preventing the appearance of cancer cells in the body. Blueberries have been used for centuries by their therapeutic effects, bringing benefits in many health fields in general. 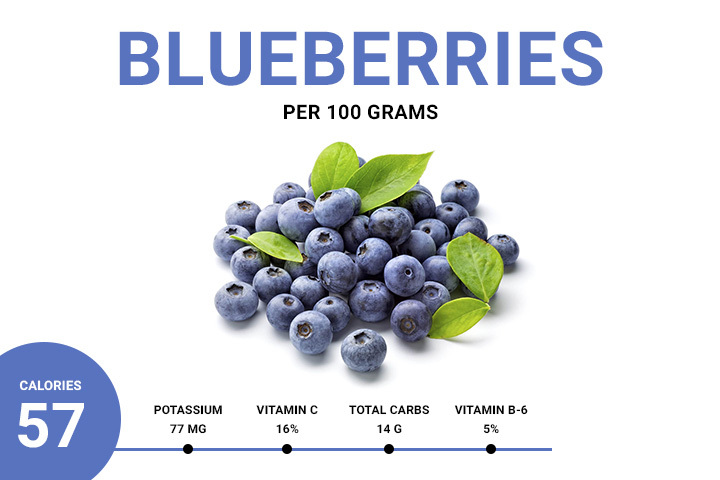 Blueberries containing high levels of vitamin A, C and K, cranberries can prevent or, if too late, can help to solve ocular diseases such as Pigmentary retinopathy, glaucoma or myopia (also called nearsightedness). The minerals they contain are mainly phosphorus and potassium, due to which they show antiseptic properties (it refers to the removal of microbial infections) and blood purification. Blueberries are a good source of dietary fiber. Blueberries regulate blood pressure and prevent blood clots in the arteries, as well as LDL cholesterol deposition on blood vessels. Being rich in vitamins (complex B and C), fiber and minerals (especially magnesium, calcium, phosphorus and potassium), blueberries are recommended for detoxification of the body. Blueberries are delicious, so you can consume them without worries during the day, you can add blueberries to juices or smoothies. Cabbage is a versatile vegetable that is prepared quite easily and can cook in a variety of styles. However, it is best to consume raw cabbage to enjoy its benefits fully. Cabbage is rich in vitamin A, B, C and E, and is well suited to anemic people because of the high chlorophyll content that favors hemoglobin production. 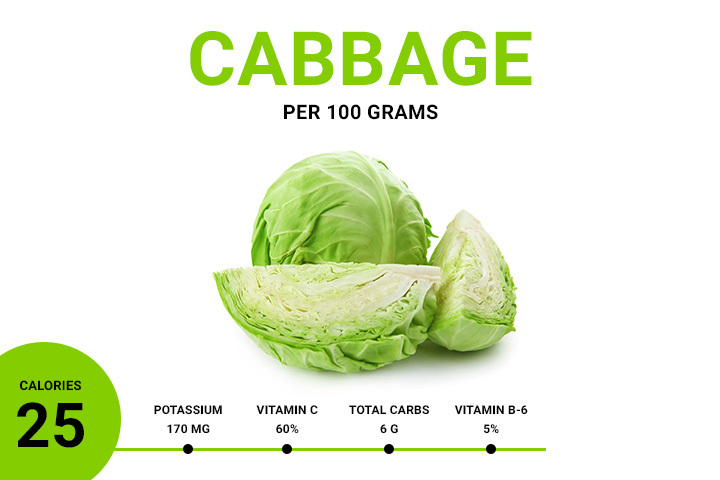 In addition, cabbage has a high magnesium, calcium and iron content, thus contributing to the revitalization of the body. It is indicated in diets and weight loss cures. It’s very rich in fiber. It helps to lower blood sugar. Helps to re-mineralize and revitalize the body. Vitamins: Retinol, Ascorbic acid, Tocopherol, Niacin, Thiamine and Pyridoxine. Minerals: Potassium, Calcium and Phosphorus. It has a beneficial effect on the prevention of colon cancer. It displays disinfectant and healing properties in the tissues. It has an important antiseptic action. It contains a hypoglycemic principle that makes it recommended for diabetics. 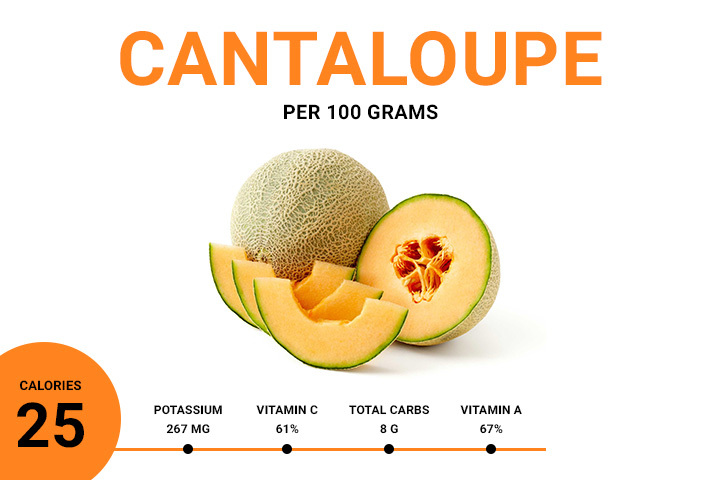 Cantaloupe is one of the most loved fruits of the summer season. It is a fresh and aromatic snack, perfect for the hot summer days. As 100 g of melon has only 34 calories, you can include this fruit without problems for slimming. Cantaloupe is an excellent source of vitamin A, potassium and beta-carotene, substances recognized as favoring the loss of extra pounds, the melon is the ideal food to reach the desired silhouette in just a few days. You can add cantaloupe in your daily menu because it is delicious. You can eat it as a fruit salad, in smoothies or in lemonades with fresh fruits. It is important to find a place in the diet. Your body will be grateful! 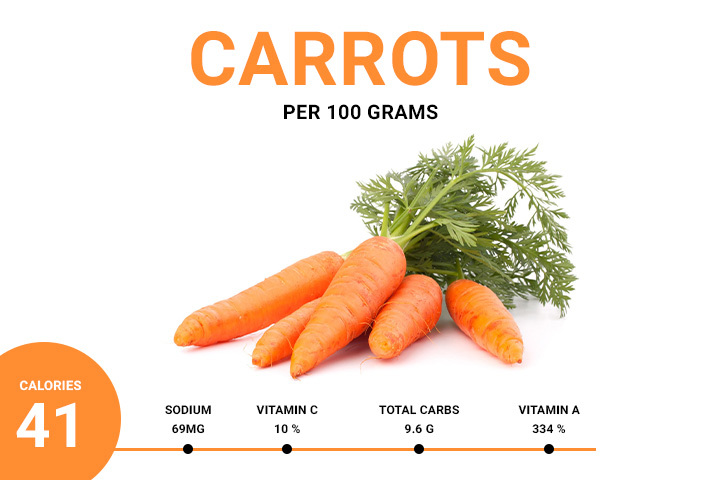 Carrots contain vitamins, minerals and antioxidants. 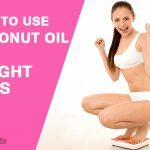 The fact that they have a large amount of iodine and that they are rich in fiber which will help you to get rid of pounds. Carrots not only help you lose weight, but it also plays an important role in detoxifying the body, rebuilding the epidermis, and stimulating intellectual and memory capacity. Carrots maintain good health and bring many benefits in weight loss belts in order to quench the hunger and the appetite of sweets. The fight against free radicals in our bodies. Nutrient content is better absorbed in the presence of oil. Dandruff and scalp problems can be solved with carrots. Vitamins: Retinol, Ascorbic acid, Niacin and Tocopherol. Minerals: Potassium, Sodium and Phosphorus. Skin burns can treat by compresses with fresh carrot juice. Cauliflower is one of the most impoverished foods in calories and is also part of cruciferous vegetables. It is a food with anti-inflammatory effects and helps to maintain the health of the cardiovascular and digestive system. 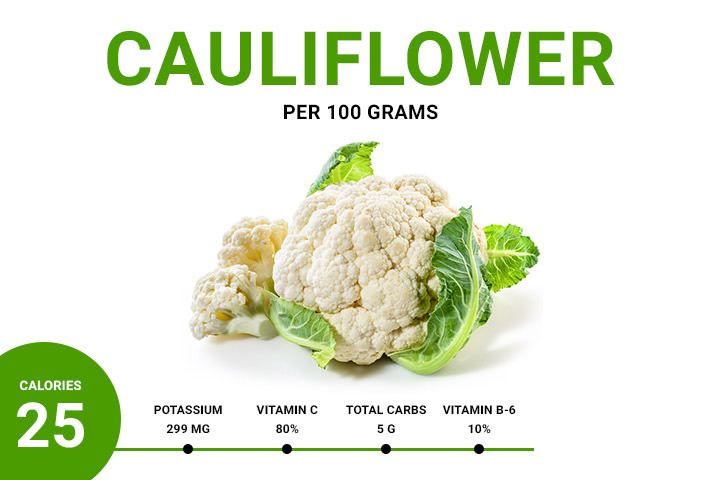 The cauliflower is not only hypoallergenic but also has a lot of fiber, so you will not be hungry so soon. Cauliflower should consume after heat treatment. It has only 27 calories per 100g, but this small amount of cauliflower gives you 77 percent DV of vitamin C, 20 percent DV of vitamin K, 14 percent DV of folate and many other beneficial substances in smaller quantities. The first and most important property of cauliflower is that it prevents cancer. Over the last 30 years, various studies have conducted that attest to the fact that cruciferous vegetables help to reduce the risk of developing colon and lung cancer. Besides this benefit, cauliflower helps digestion and is full of fiber that plays an essential role in weight loss. Have you decided to lose a few pounds before you go on holiday? Then choose a simple and healthy way: cauliflower diet. It will not only help you lose a few pounds in a short time. Nutritionists recommend it as a primary diet in a weight loss diet because it contains few calories, it is nourishing, energizes the body and keeps anemia away. Therefore, the cauliflower diet does not lead to nutritional deficiencies, as it often happens when you have a specific strict weight loss regime. Cauliflower is a versatile vegetable that can easily include in your diet. You can prepare many dishes that contain this ingredient full of surprises. It balances the Gut flora. It improves the secretion of the estrogenic hormone. Excellent food in overweight kings. May cause digestive disturbances such as diarrhea, bloating or abdominal pain. 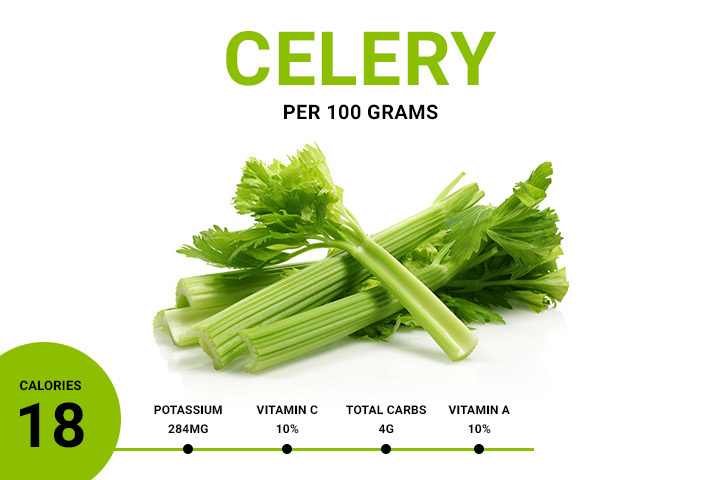 Celery is considered a negative calorie food, i.e., the body needs more calories to digest than it contains the vegetable itself: 100 g of celery has 14 calories. That’s why the celery diet can help you get rid of extra pounds in a short time. Each part of the leaf (leaves, seeds, and root) is useful in weight loss. Celery is a rich source of vitamin C (beneficial to the immune system), fiber and essential oils, minerals for the body, such as folic acid and potassium. The active compounds in celery are called phthalides and can adjust blood pressure and prevent it from falling. Celery can also use as a treatment for nervous system disorders caused by overwork. To prevent obesity, consume two teaspoons of celery juice 30 minutes before meals, three times a day. If you eat meat products, combine them with celery, so the diet is improved by stimulating the secretion of gastric juices. Celery diet is recommended in people who want to eliminate intestinal gas and intestinal worms, and it can reduce hunger and regulating insulin secretion. Diet with celery helps you lose weight, but it is also useful for regulating metabolism and improving health. All you have to do is follow, and you will get rid of the excess of fat accumulated in a less period of your life. Useful in cleansing and detoxifying the body. Vitamins and Minerals as vitamin K, vitamin C, potassium, folate and vitamin B6, calcium, magnesium. This delicious autumn fruit is mainly known for curing urinary tract diseases and preventing their relapse, especially if you consume as juice. The benefits of cranberries consumption do not stop there, however. It appears that the polyphenols that contain this fruit reduce the risk of developing cardiovascular disease and lower blood pressure. Moreover, due to strong antioxidants in cranberries, they can eat to prevent and even relieve certain cancers – research has shown that these autumn fruits have a positive effect in the case of prostate, liver, breast, ovary, and colon. 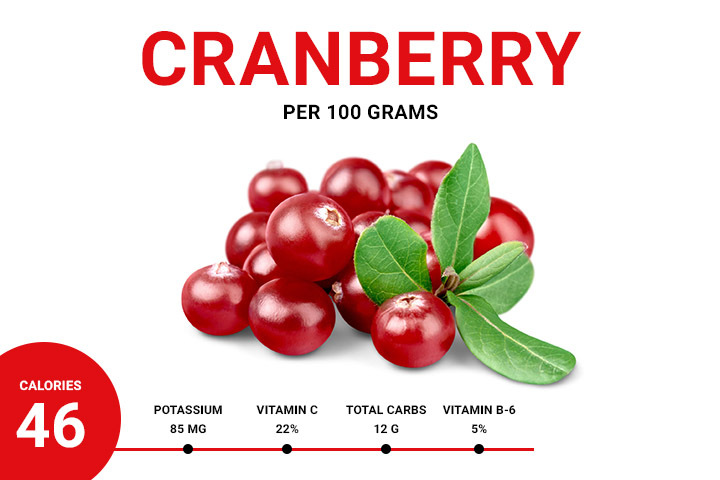 A portion of 100 grams of cranberries contains 46 calories, 5.1 grams of fiber, 0.1 milligrams of copper, 93.5 milligrams of potassium and vitamins C, E, K, and B6. Cucumbers, which are recognized for their diuretic properties, are an ingredient that we can’t miss when preparing a seasonal salad. We will tell you in detail about the calories of cucumbers and explain how to include them in the diet. First of all, you must know that a cucumber contains not only water but also a lot of vital nutrients. These include vitamins A, C, K, magnesium, potassium, and manganese. Also, the sodium content is minimal, being equal to sugar (2 mg per 100 g of food), and saturated fats are absent. 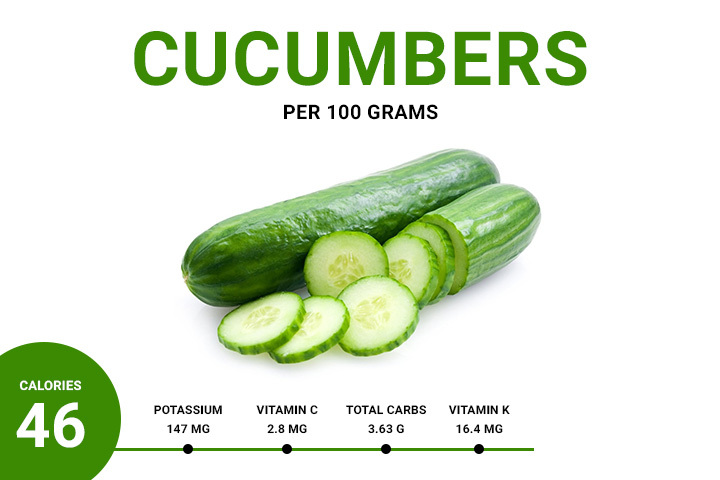 Concerning calories, we can say that 100 grams of cucumber represent the equivalent of 15.54 Calories, so you do not have to worry about this. If you want to put cucumbers in your diet, you can do this by eating different kinds of seasonal salads that contain this ingredient. There is even a cucumber diet that can help you get rid of unwanted pounds. You do not have to exhaust your body and deprive it of all the nutrients it needs to lose weight. You have often heard that if you include grapefruit in your daily diet, you have a good chance of getting rid of many pounds in a short time. Some scientists believe that grapefruit contains specific enzymes that help to burn fat. Hence the whole theory that grapefruit consumption is very appropriate in the weight loss process – even some diets recommend it instead of breakfast. Grapefruit is full of fiber that helps you feel your stomach full for a long time. 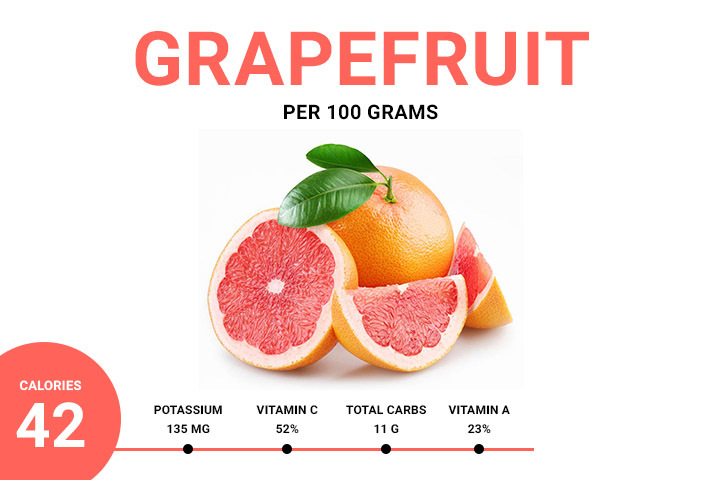 A portion of grapefruit contains only 42 calories and about 1.6 grams of fiber. Studies show that weight loss is taking place more quickly if you eat half a table of grapefruit before eating. Try to make yourself a habit of eating grapefruit before breakfast. It can be a very low-calorie snack and an extremely healthy alternative to salted pretzels or chocolate bars that we tend to eat between meals. Fight against the formation of tumors. Influences the body to produce beneficial bacteria. The graft is beneficial in maintaining health. Interaction of grapefruit juice with certain drugs may have adverse effects. The grapefruit diet is a very restrictive diet. It can delay the absorption of some drugs in the body such as antidepressants, some antibiotics, and medications for the joints. 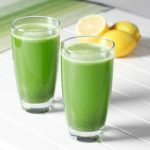 It is known that green tea is a drink that helps to lose weight, but some people do not entirely support the taste of this healing licorice. A primary benefit of green tea is that it improves concentration and facilitates thinking. Antioxidants and other substances in green tea can help to protect the heart and blood vessels. It also helps to regulate body temperature. Green tea can use for weight loss or treat stomach problems, vomiting, headaches, osteoporosis or cancerous tumors. Some people use green tea to prevent various types of cancer, such as breast cancer, prostate cancer, colon cancer, gastric cancer, lung cancer, or even skin cancer. Women use green tea in the fight against HPV. Moreover, green tea is also used for its benefits in preventing or treating diseases such as heart and blood vessel diseases, diabetes, high blood pressure, chronic fatigue syndrome, dental caries, kidney stones or skin damage. Some people apply green tea bags directly to the skin to soothe burns and also use to shrink bags under the eyes as a compress for tired eyes or headaches. They can also stop gingival bleeding after removing a tooth. Green tea contains caffeine from 2% to 4%, which affects thinking and concentration. It believed that caffeine stimulates the nervous system, heart, and muscles by increasing the release of certain chemicals in the brain called neurotransmitters. There are few things you need to know about side effects or contraindications about drinking green tea by adults, and there are rare cases of it harming the body. People who suffer from severe caffeine sensations may have insomnia, anxiety or irritability, nausea or discomfort in the stomach area. Another effect of green tea is that if it is drink along with stimulant medications, it can cause increased blood pressure. However, green tea supplements are preferably those containing a high level of active substances that can trigger adverse effects. Pregnant or nursing women, people with heart problems or high blood pressure, with kidney or liver problems, stomach or anxiety disorders should not consume green tea or supplements from green tea extract. It is advisable to take care of how much green you drink if you suffer from any of the above conditions. If those issues are not a problem, drink at least 2-3 cups of green tea a day and enjoy the benefits and effects of it! The mushroom diet is recommended for all who want to lose weight quickly and without drastic measures. Due to the antioxidant and energizing properties, but also the high fiber, protein and vitamin content, the mushrooms are ideal for a healthy and balanced diet. Also, mushrooms have a tiny number of calories and can successfully replace meat, which makes them perfect for slimming. Try the mushroom diet, and you will be able to get rid of the excess kilos gradually and healthily. Mushrooms also contain minerals such as potassium, calcium, and selenium that help metabolism and muscle functions. Also, mushrooms are beneficial to the daily diet because of substances called beta glucans, which strengthen the immune system. They improve resistance to infections, tumors, and cardiovascular disease. So besides helping you get rid of extra pounds, the mushroom diet is also extremely beneficial for your body’s health and balance. Because they do not contain starch, it favors weight loss diets. The primary source of essential antioxidant (selenium). They are the alternative for meat, so they are very used by vegetarians. Consumption of mushrooms prevents fatigue and anxiety. 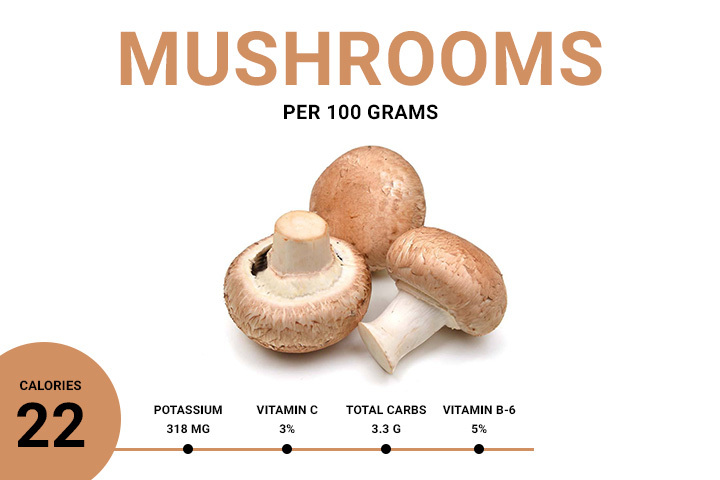 In 100 grams of mushrooms, you can find 22 Calories. Less than 1 gram fat. Vitamins and Minerals: vitamin B2 riboflavin (23 percent DV), Vitamin B3 niacin (17 percent DV), Vitamin B5 pantothenic acid (14 percent DV), Copper (13 percent), Selenium (13 percent DV), Potassium (9 percent DV) and Phosphorus (8 percent DV). Improve Immunity and Lower Inflammation. It helps the functioning of the digestive system and the nervous system. 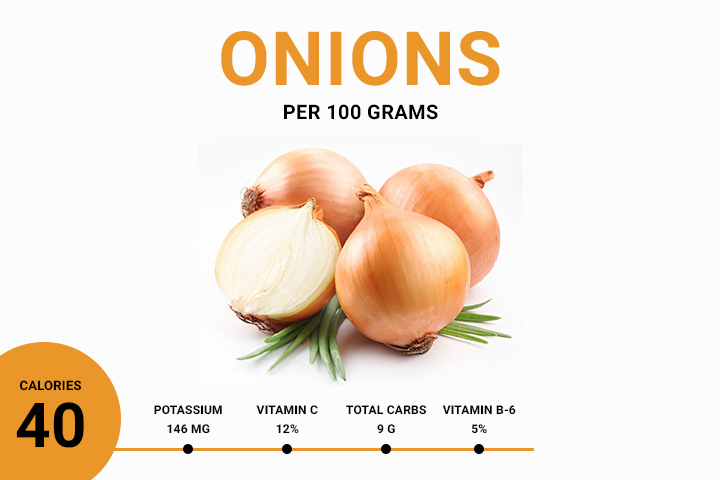 100 grams of onions contain 40 Calories. It helps to heal otitis by pulsing compressions on the ears. Onion compresses used on the chest are helps to soothe the cough. Onions are also beneficial for the treatment of prostatitis patients. A stomach ulcer is still one of the diseases the onion can treat. Papaya is considered one of the best natural laxatives, as it improves digestion and removes toxins from the colon. 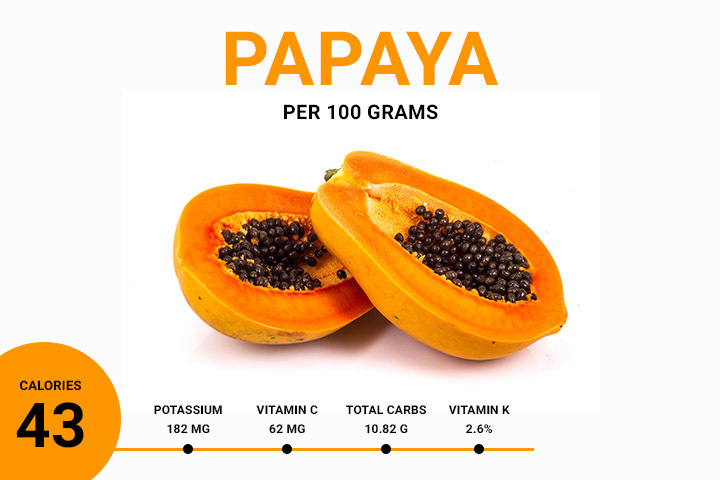 Papaya has alkalizing action during digestion, helping to maintain the body’s health. Papaya is a tropical fruit, which contains a large number of antioxidants such as vitamin C, carotene and flavonoids. It is useful for preventing arteriosclerosis and diabetic infarction. Also, it helps you to treat allergies, chronic diarrhea, indigestion, and sports injuries. Papaya contains vitamins B1, B2, A and C, magnesium, iron, sulfur and potassium and is considered to be the most appropriate fruit in case of gastritis. It also has beneficial effects on the skin, hair, bones and immune system. Vitamins: Vitamin A, Pantothenic acid (B5), Tocopherol, Folate (B9) and Niacin. Minerals: Potassium, Calcium, Manganese and Magnesium. It has anti-cancer benefits, anti-aging and detoxifying. It accelerates postoperative wound healing. It prevents sunburn and skin cancer due to beta-carotene content. Peaches are a real ally against fatigue and daily stress. Thus, consumption of peaches helps you maintain your nervous balance, regulate intestinal transit and liver function, moisturizes the body and spoils your taste buds, but without affecting your silhouette, as 100 grams of peaches contain only 43 kcal. In addition to spreading energy in your body, peaches are extremely useful both for cosmetic treatments and for curing diseases such as hypertension, gastritis, asthma, digestive problems, kidney stones, intestinal worms, rheumatism. Peaches are rich in vitamin C, iron, potassium, calcium, phosphorus. If you feel you have a little vitamin A deficiency, eat some peaches. 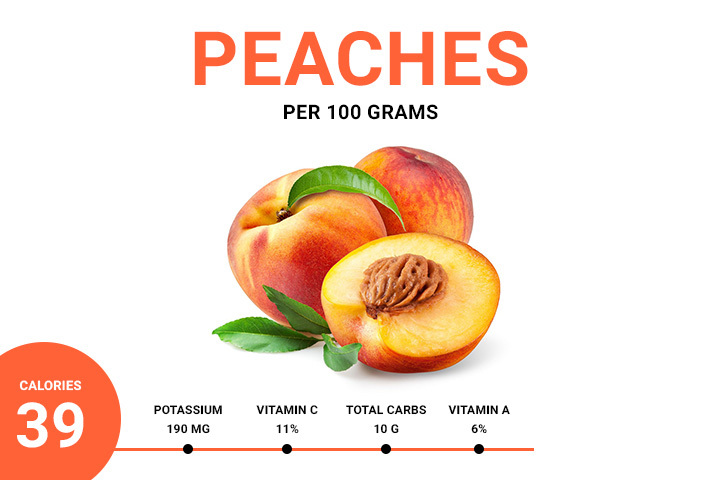 A medium-sized fruit contains about 10% of vitamin A from the daily recommended dose to a person and peaches contain only 39 calories. Stimulates the appetite and secretion of gastric. Antioxidants inactivate free radicals and maintain cell integrity. They are recommended for people with digestive problems. 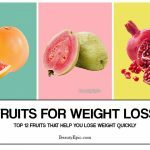 Weight loss specialists recommend pineapple because it has few calories. Also, it contains a large amount of potassium that favors the removal of excess liquid from the body. Pineapple has a unique, sweet and very aromatic taste, being versatile in the kitchen. Pineapple can use for both desserts and main dishes and beverages. Pineapple is found on stalls and also in supermarkets throughout the year and has many health benefits. If you choose the canned variant, read the labels well and compare them so that you choose the one that does not contain sugar, thus increasing the number of pineapple calories. Pineapple has a considerable amount of sugar, which leads to higher caloric intake. For example, 100 g of raw pineapple contains 50 calories, while the same amount of pineapple juice contains 60 calories. 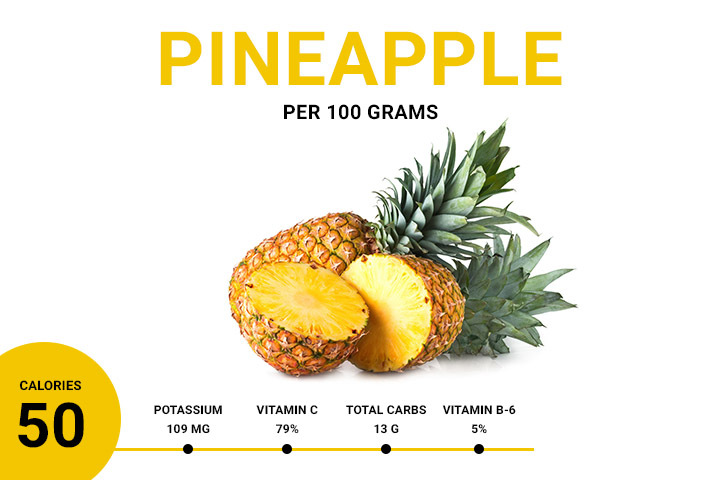 100 grams of fresh pineapple has 50 calories and significant vitamin content, including C, B1, and B6. 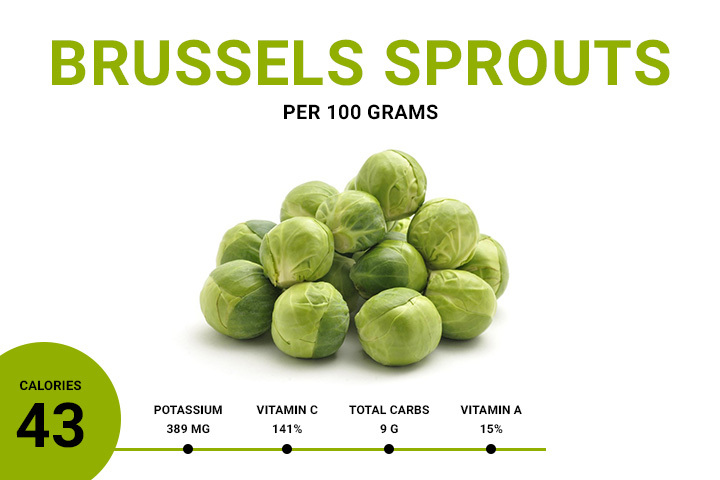 It is also a good source of folate, with many health benefits, but also manganese, iron, and magnesium. Pineapple fruit contains 11% of the recommended daily allowance for carbohydrates and has insignificant fat and protein content. Another significant benefit of pineapple is the content of bromelain, which acts in the digestive tract by decomposing proteins and facilitating digestion, similar to that of pepsin in the stomach. Due to its numerous digestive benefits and high satiety and controls appetite, pineapple can be a great ally in the diet. One of the many pleasures of the summer is the abundance of fruits that we can enjoy during the hot days. Not only that most seasonal fruits have powerful flavors but are also rich in vitamins and nutrients that make us radiate health. Because it is still the time of the berries, you should start eating raspberries because it will not be on the market for a very long time. Raspberry is very poor in calories and fat. At the same time, it is a good source of fiber and antioxidants, that is, those substances that combat the harmful action of free radicals. 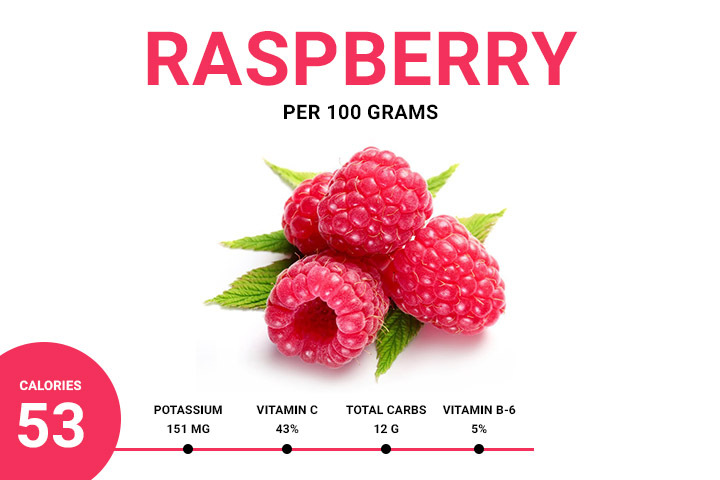 In a serving of 100 grams of raspberries, there are only 53 calories and not less than 7 grams of Dietary fiber, or 28% of the recommended daily dose. Raspberries also contain other vitamins, such as A or E, which not only fight disease but also have visible effects on the health of hair, skin, and nails. Beneficial are vitamins B from raspberries (niacin, riboflavin, folic acid), which play an essential role in the metabolism of carbohydrates, proteins, and grains. Raspberry can be used in detoxification because it has high water content, preventing constipation and maintaining the digestive tract health. You can eat it as it is or in the form of water with raspberries, especially if it’s hard for you to consume water as such and prefer to drink something aromatic throughout the day. Minerals: Potassium, Phosphorus, Iron, Manganese, and Calcium. Spinach contains an important amount of dietary fiber, being among the best sources of vegetables recommended for cholesterol control and weight loss program. Consume 2-3 cups of spinach daily (fresh or frozen), no matter how it prepared. You do not have to worry too much because the spinach is low in fat and calories: 100 grams of raw spinach leaves contain about 23 calories. Spinach consumption is beneficial in the fight against osteoporosis, heart disease, arthritis and prevents the formation of cancer cells. 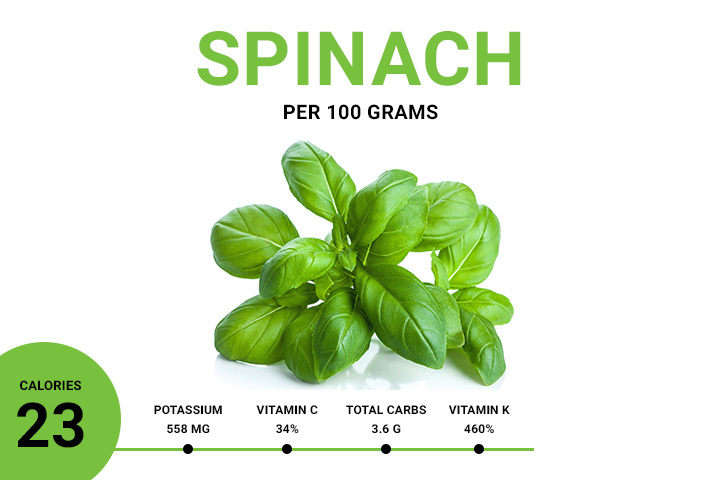 Also, spinach is a vital source of vitamins, minerals, fiber, and antioxidants. Spinach diet helps you to provide the body with an excellent amount of vitamin A and C (beneficial to heart health), vitamin K (maintains bone health and 100 g of fresh spinach provides 460% of the recommended daily dose), B (vitamin B6, thiamine, riboflavin, folic acid, niacin) or minerals such as magnesium, manganese, iron, potassium (100 g of fresh spinach provides 12% of the recommended daily dose), zinc. Spinach can be consumed raw, cooked or cooked in the oven. You can use it in sandwiches, vegetarian slices, home-made pizzas, juices, vegetable soups. Strawberry is a good source of vitamin B5, B6, C, K, manganese, potassium, fiber, folic acid, phytonutrients and antioxidants that help against free radicals. Antioxidant properties are believed to be related to the red-glowing color of strawberries. At the same time, strawberries are low in cholesterol and saturated fat. 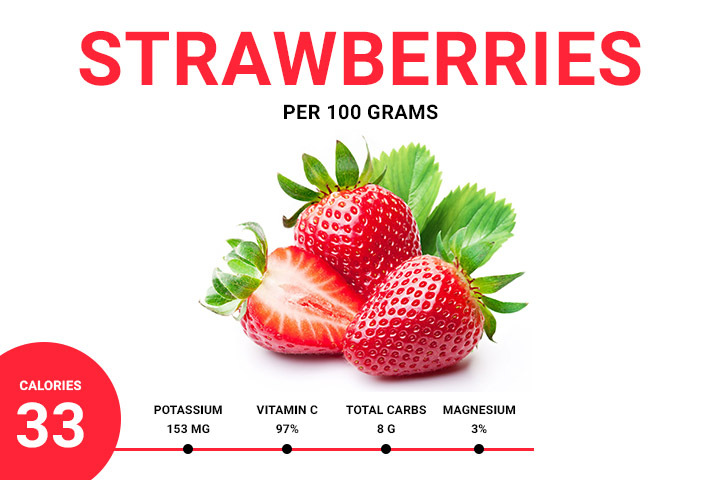 100 grams of strawberries contain about 33 calories. Strawberries can use for teeth whitening. It can do quickly at home before brushing, in the morning or the evening. The consequences are the same as in the case of lemon: faster cleaning and at the same time whitening of the teeth. Strawberries are the ideal fruit in slimming diets. Besides delicious taste, they are satiated and contain over 50 substances beneficial to the human body. Their consumption is recommended for the proper functioning of the heart and blood circulation, maintaining the elasticity of the vessels. At the same time, strawberries favor the production of red blood cells, stimulate metabolism and increase fat burning capacity. It has a role in fighting the glycemic index. It stimulates the function of the pancreas. Vitamins: Vitamin C, Vitamin E, Vitamin K, Thiamine (B1), Riboflavin (B2), Vitamin B6 and Folate (B9). Minerals: Calcium, Magnesium, Manganese, Phosphorus, and Potassium. It is recommended for patients who have undergone surgery. It’s a good healing scar. Patients with cardiovascular system diseases use it. As long as you consume as many as low-calorie foods in moderation, taking care to have a varied diet, you will notice that your weight will become reduce without additional effort.